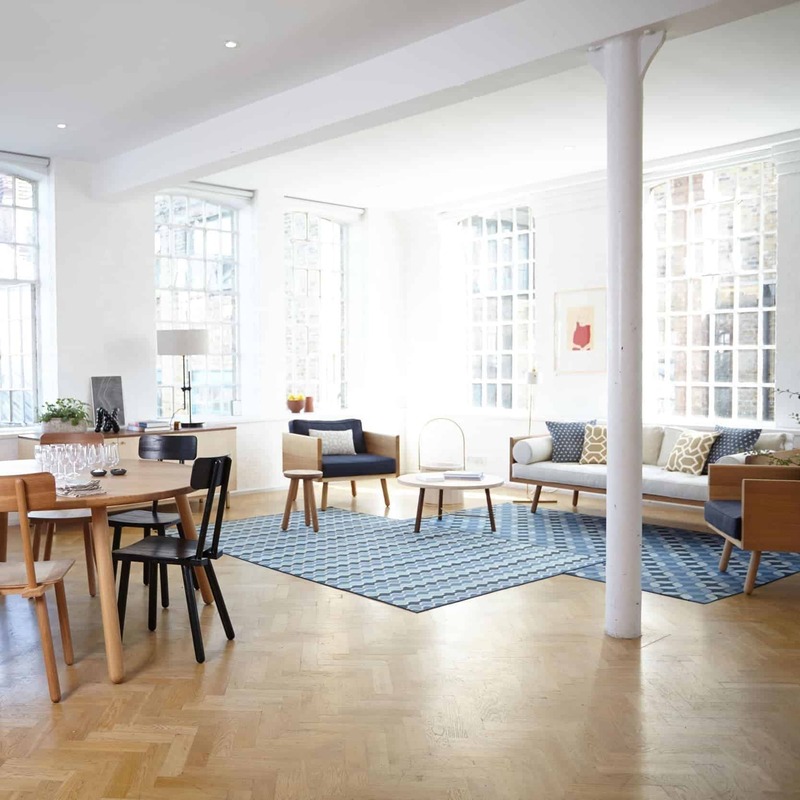 We celebrated our fifth birthday during the London Design Festival with The Apartment; an engaging space where traditional slow values mix with contemporary British design. Located at Perseverance Works within the Shoreditch Design Triangle, our Apartment showcased the wide collection of furniture and accessories that we have designed and produced since establishing in 2010. Designed in collaboration with world-renowned tastemaker Suzy Hoodless, the apartment featured complementary pieces from likeminded brands including exuberant textiles from Vanderhurd, industrial lighting from Workstead, and artwork by Serpentine Galleries and David Murphy, showcasing the versatility of our collections and narrating our values and ethos. Another Country was, quite literally, crafted from a workshop in Dorset with one simple idea: to create a relevant, modern brand that expressed a set of values through furniture; furniture that was made to last, inspired by archetype, produced sustainably, and fairly priced. Five years on we are celebrating these values by showcasing our collection in this domestic setting. Dorset-born chef Valentine Warner has created an exclusive cocktail for the occasion using Hepple gin from his new distillery in Northumberland, as well as preparing lunches daily in the venue (invitation-only).